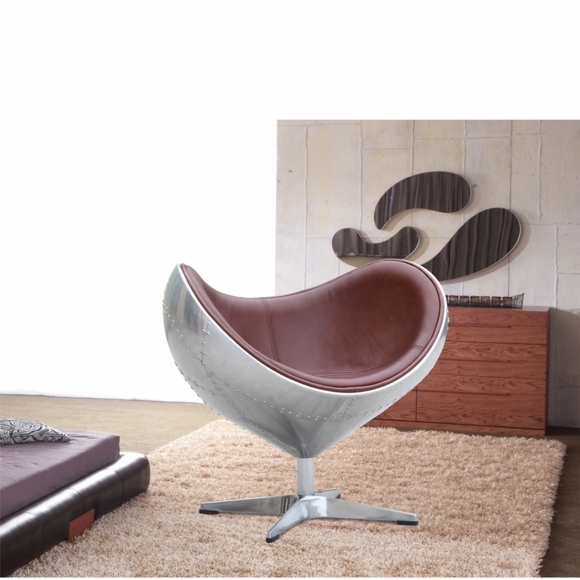 The Eyebe Chair is a quintessential mid-century barrel chair inspired beauty. 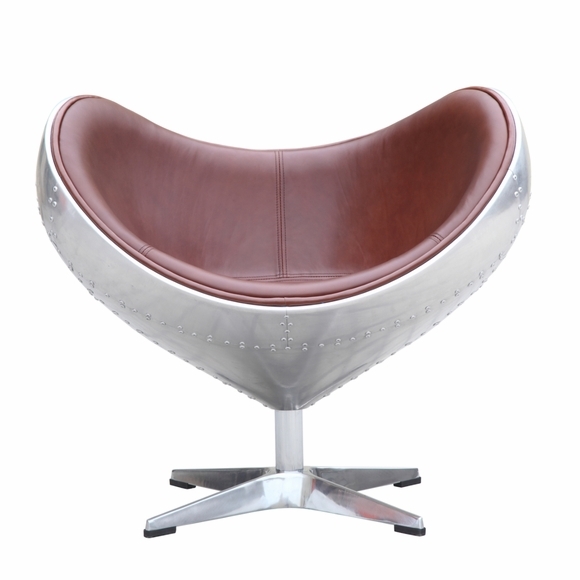 The low backed, well padded, seat is covered in soft leather. 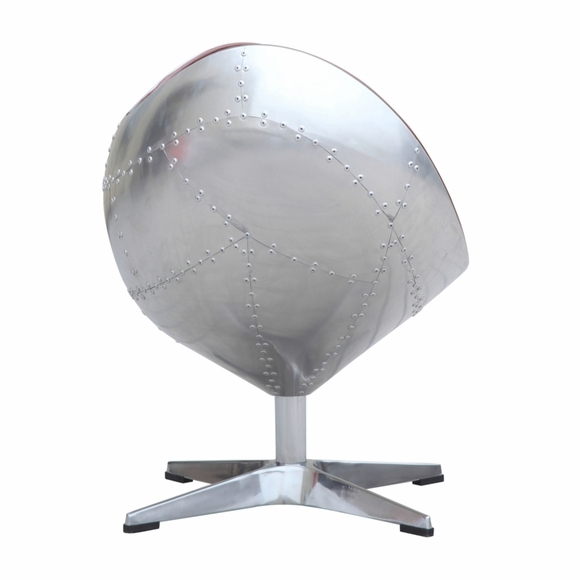 The frame is molded fiberglass covered with aluminum and rivet accents for an aviator flavor, set on a polished stainless steel base. 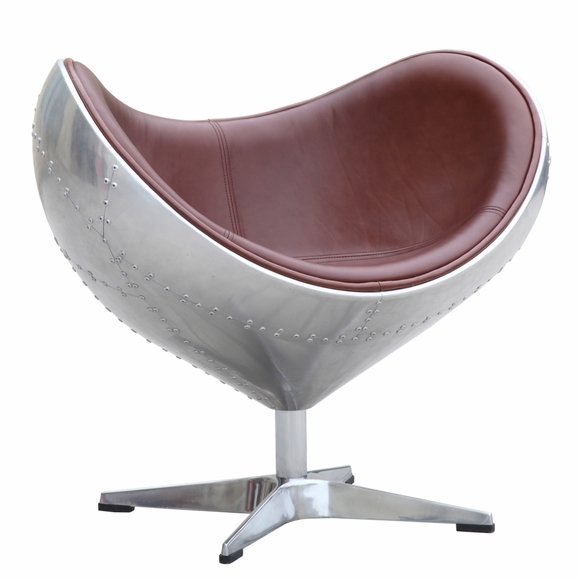 A mid-century iconic style is represented by these aviator replicas. 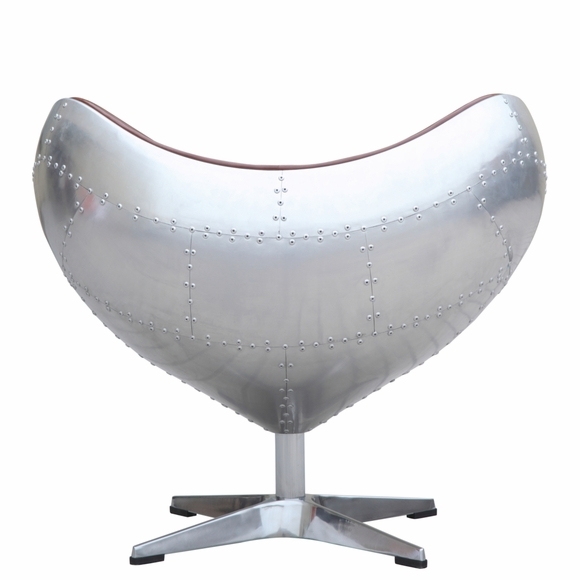 Aluminum sheeting, rivet accents and highlights are all a part of that 20th century love of everything avionic. Bring this classic style to your own home with one of these pieces.